With Opening Day behind us, baseball season is in full swing. And if you’re a baseball fan, San Diego is calling your name! From a state-of-the-art stadium in the heart of downtown to memorabilia collections and sports bars galore, San Diego is the perfect baseball getaway for any fan of America’s favorite pastime. Petco Park, home of the San Diego Padres, offers baseball fans the chance to catch a game in a remarkable downtown stadium featuring stunning architecture and landscaping, superb sight lines and convenient public transportation access. When it comes to dining, the park also offers much more than your standard stadium hot dogs and brews. Local favorites like Phil’s BBQ, Hodad’s Burgers, Ballast Point Brewing Co., Stone Brewing Co. and Lucha Libre Taco Shop offer authentic tastes of San Diego while you take in a game. The San Diego Central Library is home to the Sullivan Family Baseball Research Center. Opened in September 2013, San Diego’s new central library next door to Petco Park features a permanent exhibition that no baseball lover should miss: the Sullivan Family Baseball Research Center. 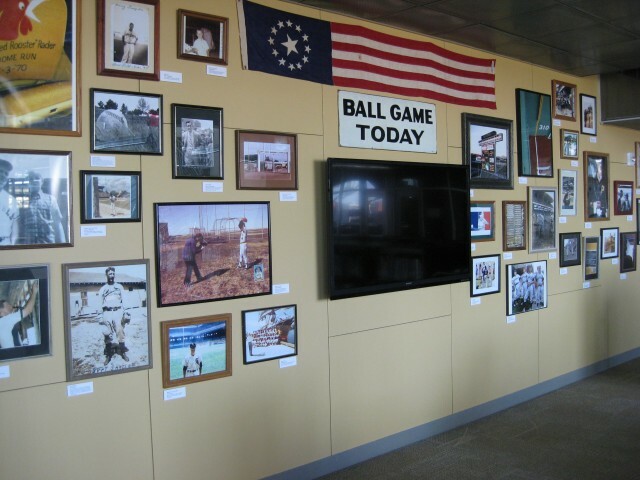 Displaying photos, memorabilia and more, this is the largest and most comprehensive baseball research center in the U.S. outside the Baseball Hall of Fame in Cooperstown, New York. After checking out the library’s collection, head over to the San Diego Hall of Champions in Balboa Park. The nation’s largest multi-sport museum boasts three levels of memorabilia spanning 68,000 square feet. 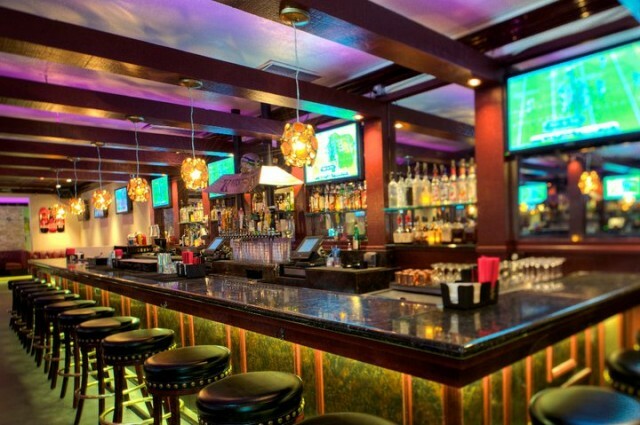 If you’re looking to get active after a ballgame, East Village Tavern & Bowl near the ballpark offers will quench all your thirsts with a full-bar and restaurant adjacent to its bowling lanes. 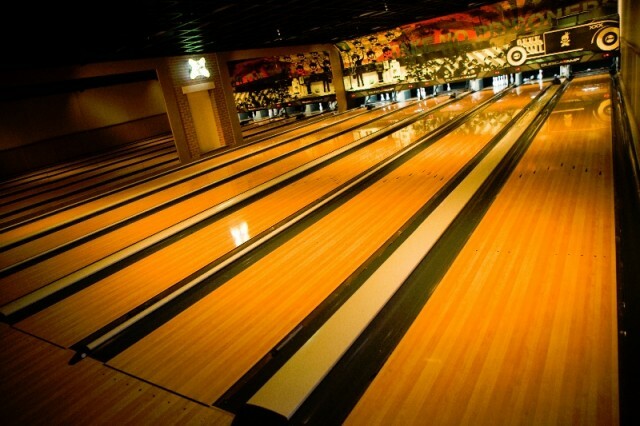 With lanes open until 2:00 AM, East Village Tavern & Bowl is a favorite nightlife hangout for locals and visitors alike. 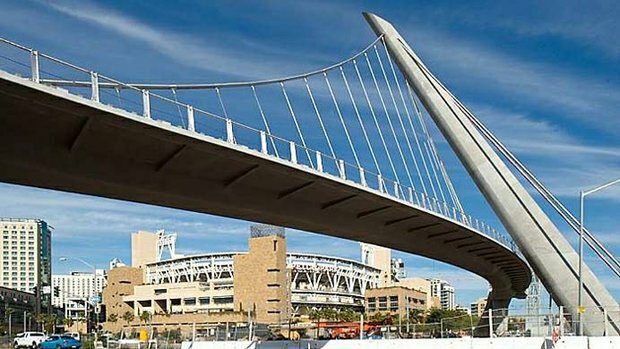 Take the pedestrian bridge to get directly from the San Diego Hilton Bayfront Hotel to Petco Park in no time at all. After all that sporting excitement, you don’t have to travel far from the stadium to rest your head. 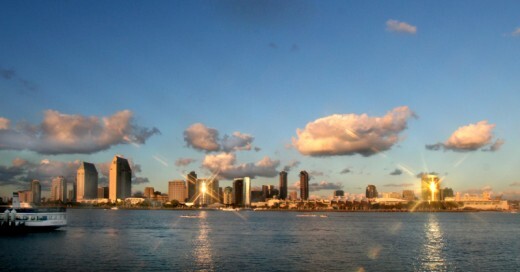 The 1,190-room Hilton San Diego Bayfront nestled along the waterfront connects to Petco Park via a beautiful skybridge. In addition to views of the ballpark, the 30-story hotel features panoramic views of the bay and downtown San Diego. Want a chance to experience all this in San Diego? Enter our San Diego Double Play Sweepstakes, and you could win round-trip airfare for two, tickets to a San Diego Padres game, a three-night stay at the Hilton San Diego Bayfront Hotel, a round of bowling and dinner at the East Village Tavern & Bowl, and passes to Balboa Park. Enter before April 7, 2014 for a chance to win! 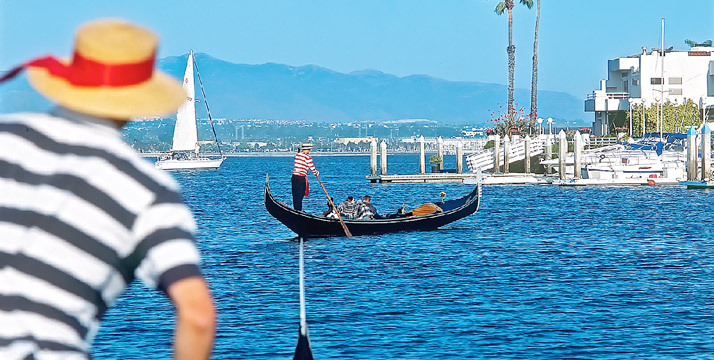 With the excitement of rowing races complemented by sunny skies and warm temperatures, the San Diego Crew Classic provides a perfect backdrop for a spring getaway to San Diego. 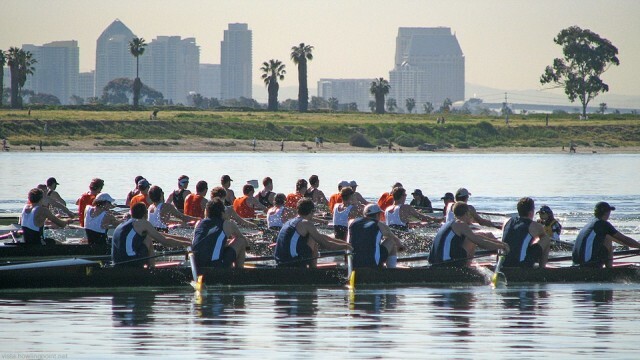 More than 4,000 collegiate, junior and master-level rowers converge each spring in San Diego for the San Diego Crew Classic. Held on the waters of picturesque Mission Bay, this thrilling competition draws rowers and spectators from throughout the United States. More than 126 universities, clubs and high school programs participate in this premier rowing event, with rowers ranging in age from 14 to 84 years old. For many rowers, the San Diego Crew Classic is the highlight of their competitive rowing careers and also tests the competitive skills of potential future Olympians. In addition to the exciting races on the water, the San Diego Crew Classic features a trade show, alumni and corporate tents, food vendors, the waterfront Sierra Nevada Beer Garden, and a massive Jumbotron offering a perfect view for the start of the races. Enjoy the beautiful views of Mission Bay and the City skyline while sipping your favorite local brews at the beach. On tap will be beers from 10-15 breweries including Karl Strauss, Stone, Coronado Brewing Company, Hillcrest Brewing, Twisted Manzanita and more. Food will also be available for purchase. Regular admission includes ten 4 ounce tasters and a souvenir cup. VIP admission adds an additional hour of beer tasting. Spring is finally here and that means it’s time to put on the ol’ Padres baseball cap, pick up a box or two of cracker jacks and head downtown to the beautiful Petco Park for an afternoon or evening America’s pastime in San Diego! To kick of the 2014 season, the San Diego Padres will take on their heated rivals, the Los Angeles Dodgers on Sunday 30 March with first pitch at 5:05 PM. While Sunday’s Opening Day game is already sold out, there is still plenty of fun happening around the park. Just pop into any one of the pubs/bars/restaurants in the East Village or Gaslamp Quarter to cheer on the Padres with plenty of fellow fans. Or you could enjoy the festivities at the East Village Block Party. Tickets are still available for the Tuesday and Wednesday games. At this free, family friendly event, enjoy local craft beer from Mission Brewery, Monkey Paw, and Stone Brewing Co., live music, local restaurants, line dancing on J Street brought to you by Bub’s @ The Ball Park, Blind Burro and Moonshine Flats, and much more. Also – The Moonshine Honeys & Friends will be leading a flash mob at 1:30 PM in front of Bub’s! This family friendly event features East Village restaurants and hotels including: BASIC Kitchen & Pizza, East Village Tavern & Bowl, Hotel Indigo, and more. If you are one of the lucky few with opening day tickets or if you are attending a later game, there are a few exciting new things happening inside of Petco Park. Don’t forget to compliment the new delicious food offerings with a cold local beer from either the Ballast Point Beer Garden (Toyota Terrace) or Craft Beers of San Diego (Sections 109, 213, and 301). Hat Tip to Gaslamp Ball for news on the new additions. The last weekend in March is going out with a bang. Come and enjoy all the amazing activities and attractions San Diego has to offer along with these top things to do. The Kia Classic features 144 of the best women golfers playing for the $1.7 million purse. The field features 2013 Kia Classic Champion Beatriz Recari and crowd favorites Paula Creamer, Natalie Gulbis, Michelle Wie and Lexi Thompson. Sunday is Family Day, full of fun family activities including a scavenger hunt, special autograph sessions and the junior clinic held at 3:00 PM on the driving range featuring LPGA players. 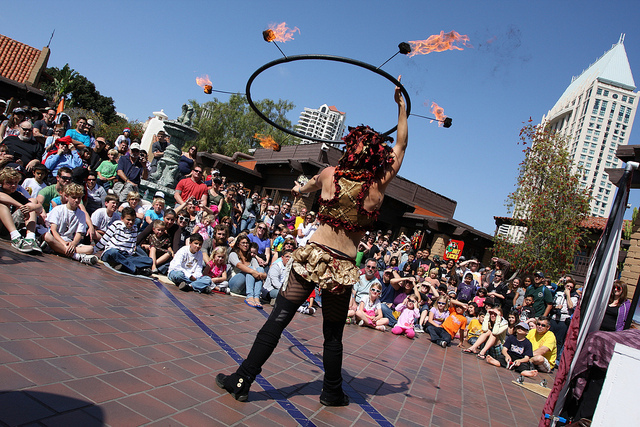 The celebration brings colorful street performers from across the country including entertaining sword swallowers, jugglers on unicycles, escape artists and comedic stuntmen performing along the bayfront in downtown’s Seaport Village. The extraordinary and bizarre talents will provide outdoor amusement for all. 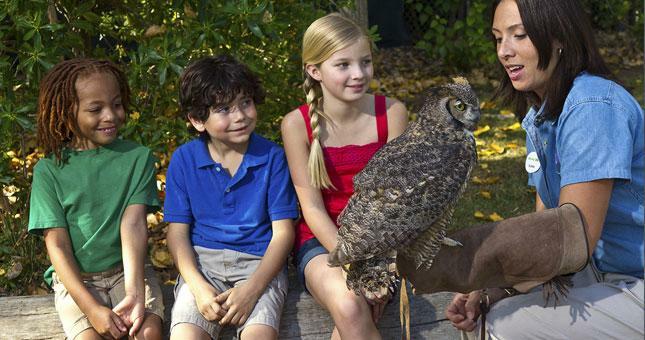 Play Days at the San Diego Zoo is a whirl of animal activities and fun for all ages, as guests enjoy special presentations, keeper talks, and animal encounters. Come visit animals that climb, prowl, and plunge! Spring is here! 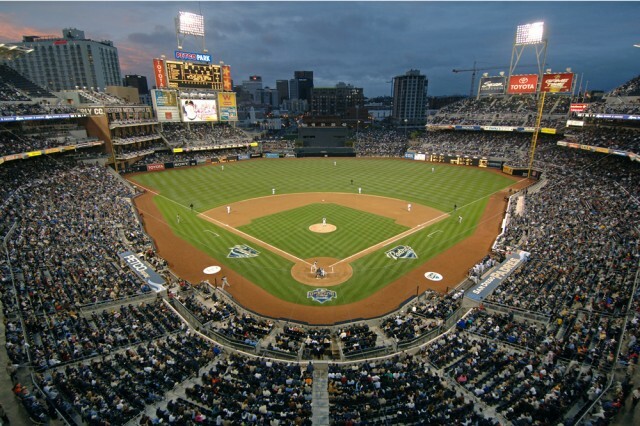 Catch the San Diego Padres take on the Los Angeles Dodgers at Petco Park. Sunday’s game is sold out, but you can watch the fun unfold at many bars and restaurants downtown and throughout the county. Pick up tickets for Tuesday’s game and get an opening day hat! During Wednesday’s game they will be giving away a schedule cling. 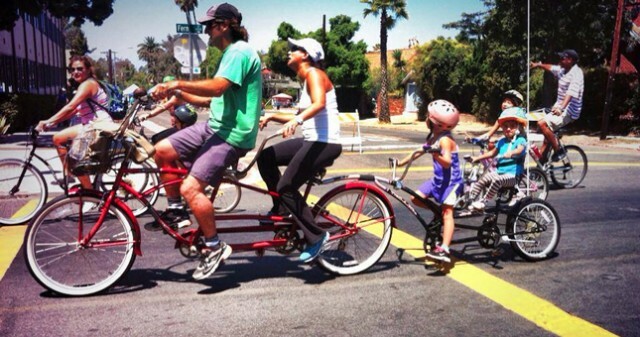 CicloSDias will open 2.5 miles of streets, car-free, in Pacific Beach to hundreds of pedestrians and families on bicycles. This is a fun opportunity for visitors and locals alike to come together and enjoy open, car-free streets in San Diego. Where: The hubs of the event are the intersections at Garnet and Ingraham, Garnet and Mission Blvd, Turquoise and Cass St, and Turquoise and La Jolla Mesa Dr. The Shout House in the Gaslamp Quarter has been rocking dueling pianos for 10 years! To thank everyone, they are hosting an anniversary celebration with a hosted bar from 7:00 to 8:00 PM, free appetizers, giveaways and a special 10 Year Anniversary Show. RSVPs are required so don’t wait! Know of some other top things to do this weekend in San Diego? Let everyone know in the comments below. First, check out San Diego’s Guides to the Good Stuff for new ideas. 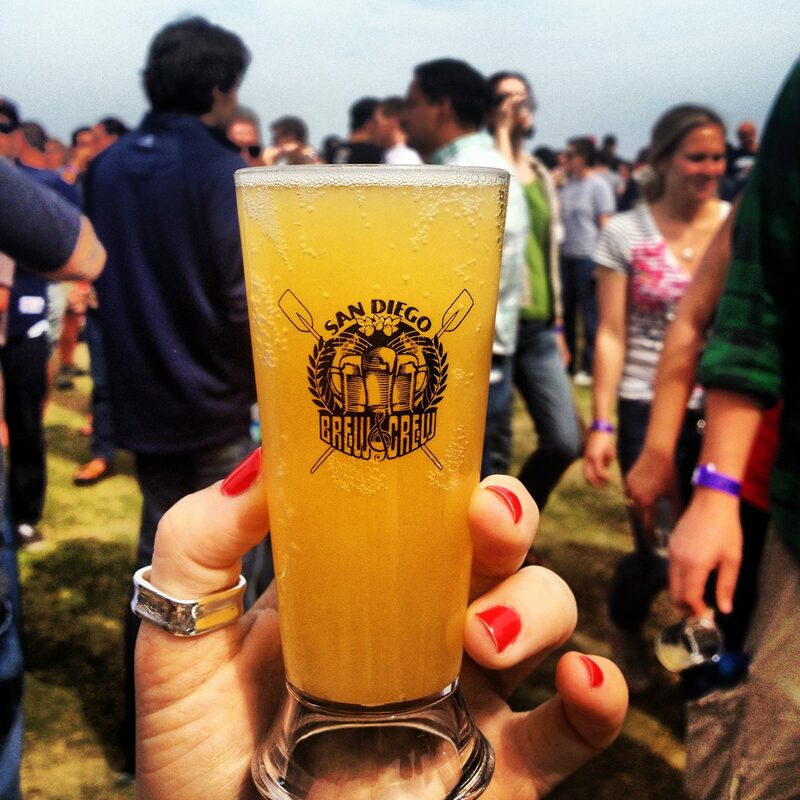 Then browse this list of top things to do and make your plans to visit San Diego this weekend. Over 160 films and videos from across Latin America and the United States will be screened at theaters throughout the county. Directors, actors, and audience members from around the globe will descend on San Diego for the festival. A number of showcases help guide attendees through the diverse array of films being shown, for example CineGay shows gay, lesbian, bisexual or transgender films, while Documania shows documentaries. 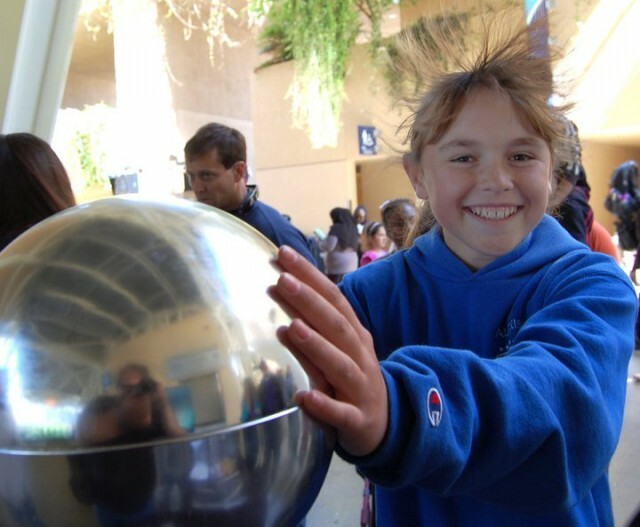 Participate in hands-on activities, meet real scientists and engineers and learn how their discoveries and research affect our daily lives. The Festival is a unique opportunity to reach students of all ages and backgrounds, inspiring the next generation of innovators. 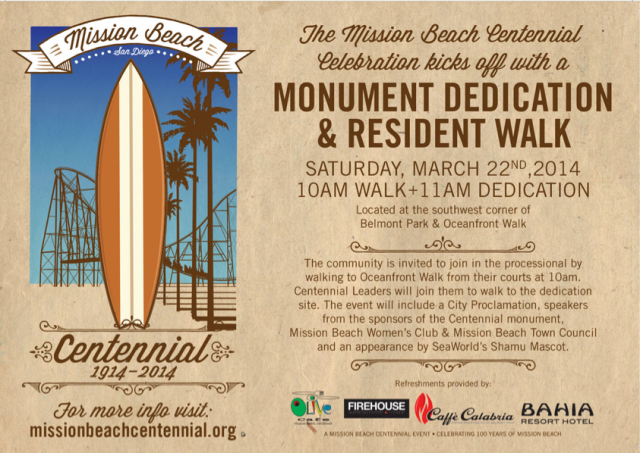 Kick-off the year-long Mission Beach Centennial celebration with a monument/plaque dedication commemorating the 100 years of this popular beachfront community. The walk will begin at either end of Mission Beach meeting on the boardwalk where residents will stroll to the southwest corner of Belmont Park where the monument/plaque will be placed. 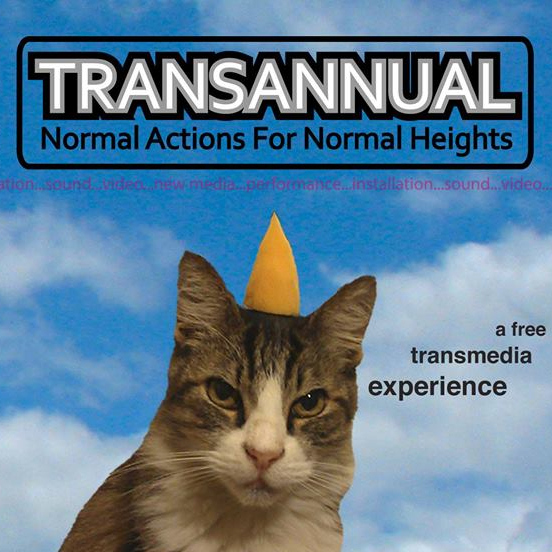 TRANSANNUAL will begin with empty sidewalks, and end with the memory of the experience. The Participating Artists and Assistant Collaborators will be creating/dissolving, installing/de-installing, and performing for the entire duration. There will be no Event Schedule, Map, or Information about the Artworks. Outside of the date, timeframe, and general area, the public will only be given this Conceptual Framework and some enigmatic clues. We are hardwired to play. All mammals and birds play. Play binds us with other fellow creatures in an exuberant celebration of life. Play is essential for our survival, our health, and our well-being. It is one of the seven primary process emotions, so distinct and primeval that the brain circuit of play lights up the fMRI like a constellation in the night sky. When we play, we laugh: dogs laugh, monkeys laugh, rats laugh, parrots laugh (and dance). We need to laugh and play as much as possible. Resort to Fun with Outdoor Activities in Coronado this Spring! Spring is just around the corner (March 20) and with the weather warming up, now is a perfect time to plan your Spring Break and discover the great outdoors of Coronado Island! With miles of beaches and coastline on the sparkling Pacific and San Diego Bay, there are countless options for fun in the water including surfing, sailing, kayaking, stand up paddleboarding and more. On land, the “Crown City” has just as much to offer: bicycling, inline skating, golf, tennis… and the list goes on. 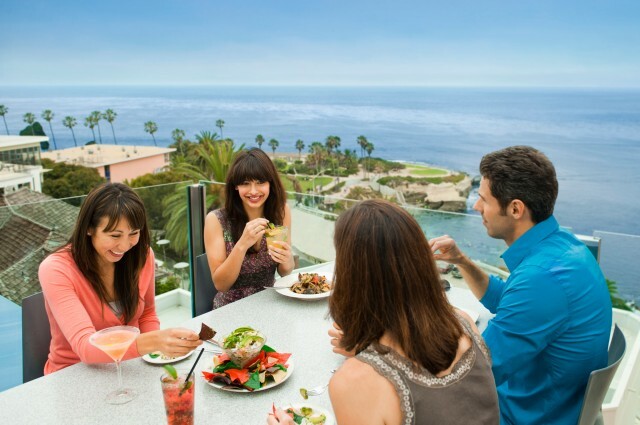 Loews Coronado Bay Resort was made for play and enjoys the best of both watery worlds, situated on a peninsula on San Diego Bay just steps from Silver Strand State Beach and the ocean. Fun ways to soak in the sun include swimming in three pools (including one for adults only), surfing, sailing, kayaking, bicycling, rollerblading, cool interactive nature tours of the Silver Strand (a pristine preserve of rare plants, animals and birds) and tours of the resort’s herb garden. Did you know: Just down the road from Loews, The Gondola Company offers enchanting cruises on authentic Venetian gondolas! 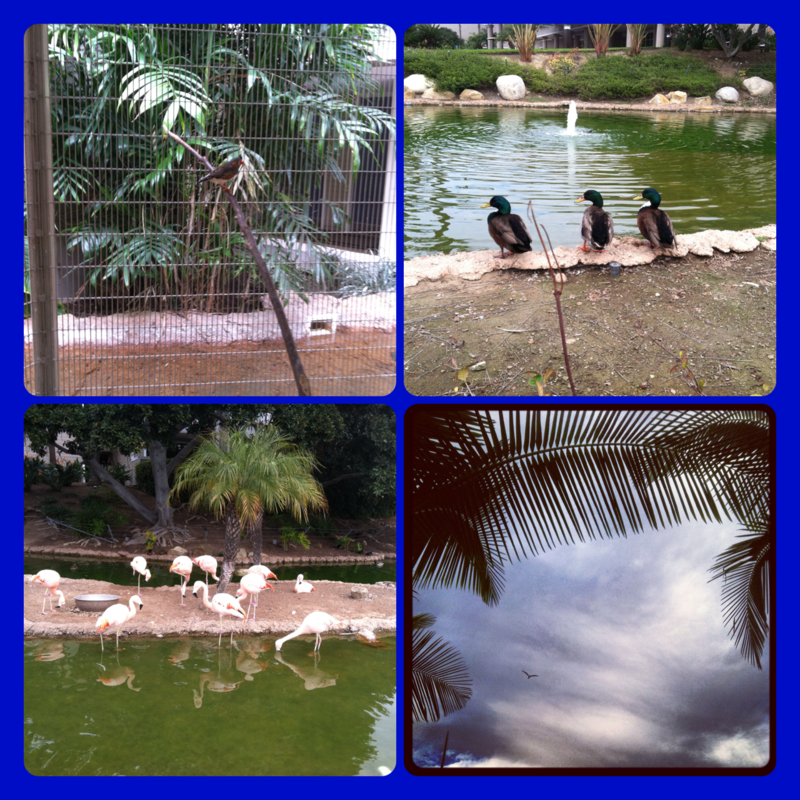 I recently stayed at Coronado Island Marriott Resort where surprising outdoor finds made for quite a memorable visit, especially the aviary of finches, a flock of pink flamingos and families of ducks wading in ponds; photo opps galore! There’s also bicycling along beautiful bay-side paths, tennis and swimming/sunbathing in three pools. The resort even has its own private pier where you can take a water taxi across the bay to downtown San Diego. 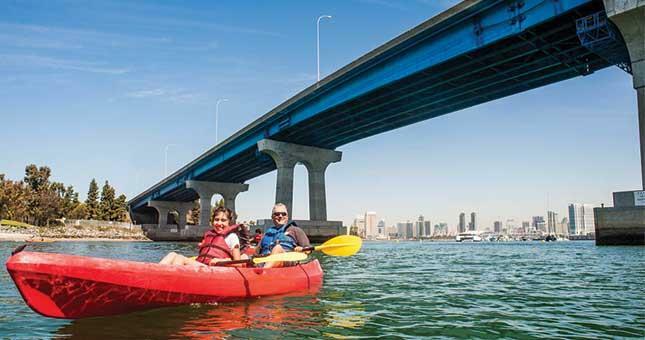 Did you know: At the nearby Coronado Ferry Landing, the new Coronado Kayak Tour is San Diego’s only urban kayaking adventure, and glides under the iconic blue arch of the Coronado Bridge! 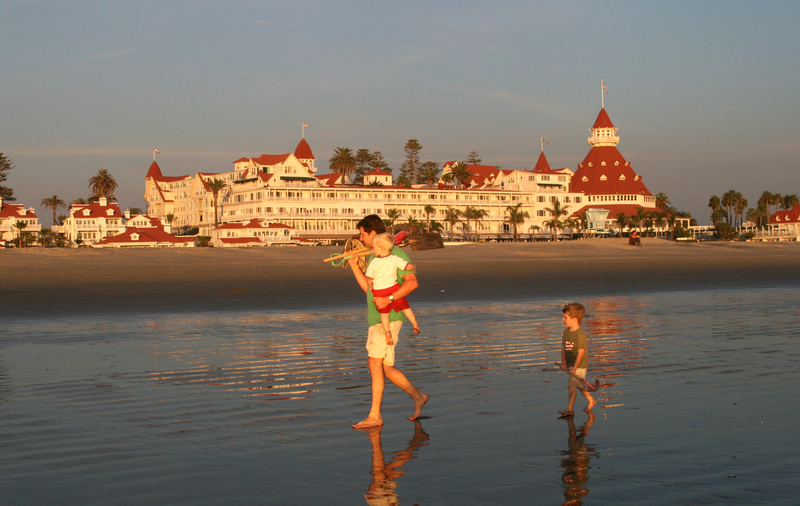 The landmark Hotel del Coronado is a grand playground to explore with recreational options that take full advantage of its location on the #1 beach in America. There’s yoga on the beach, beach volleyball and beach rentals including boogie boards, surfboards and beach cruisers from PeDels (gotta love the name!). At night, s’mores on the beach is a sweet way to end the day. Did you know: The Del’s tide break of giant boulders is a great spot to explore tidepools teeming with marine life. The charming Glorietta Bay Inn is in a prime location overlooking Glorietta Bay, home to the Coronado Boathouse where sailboat, speedboat, water ski, jet ski, paddleboat and kayak rentals are available. 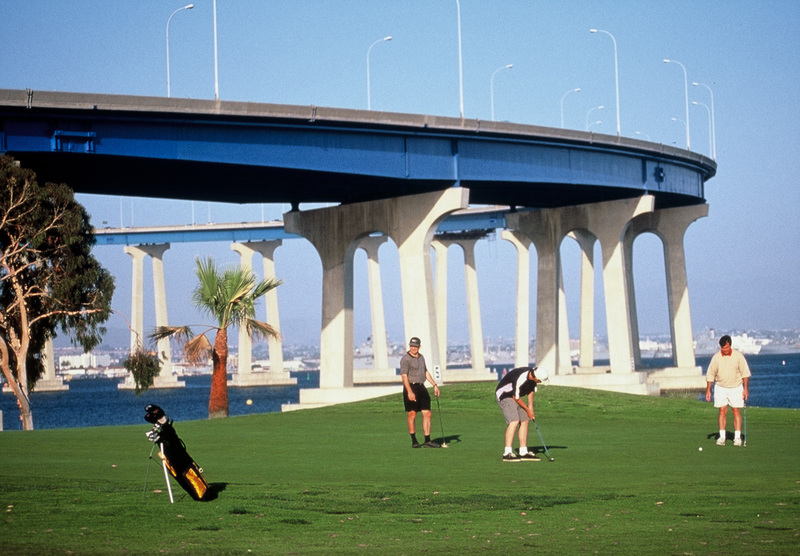 The Inn is also just down the street from the Coronado Tennis Center (8 courts) and scenic Coronado Golf Course. Golfers will love Glorietta Bay Inn’s new Golf Play & Stay package which includes one round of golf and a golf cart. Did you know: On Tuesdays, Thursdays and Saturdays, Coronado Touring offers fascinating historic walking tours of downtown Coronado, departing from the Glorietta Bay Inn. Happy Spring (almost)…See you in Coronado! We Asked Golf Course Managers – What Course Do you Recommend? In some cities finding a great public golf course can be more challenging than the round itself. You’ll never have that problem in San Diego. The majority of our 90+ golf courses are open to public play. 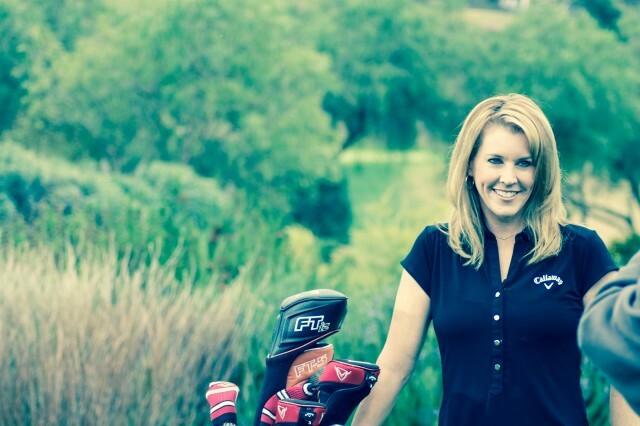 To help you navigate the choices, I went right to the source, and asked the professionals from some of the best San Diego courses a simple question – What course would you recommend to a visitor and why? 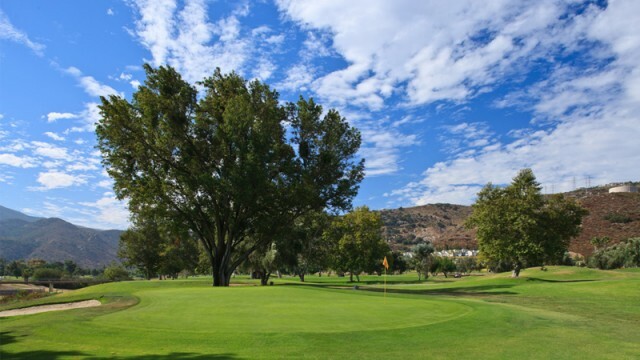 For a complete golf experience, be sure to put Maderas on your golf bucket list. From the moment you arrive at the expansive clubhouse and are greeted with first class service, to dropping the last putt after 18 holes of manicured conditions over challenging topography, you will be glad you visited Maderas. 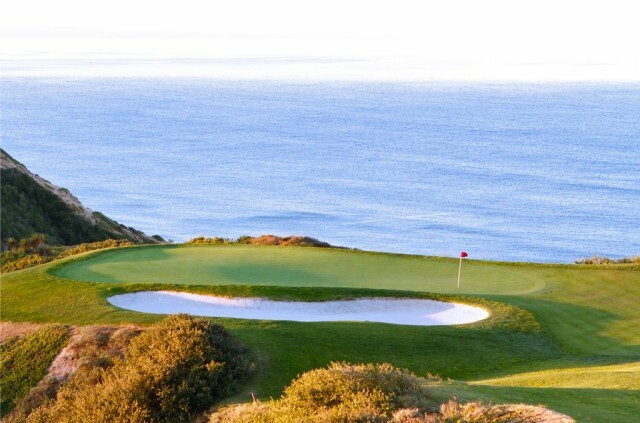 Torrey Pines South consistently challenges the abilities of the PGA Professionals during the Farmers Insurance Open. It allows professional and amateur golfers the opportunity to test their skills on one of the most demanding tracks in San Diego County. I love Steele Canyon because of its scenery and seclusion – particularly the Canyon to Ranch route. It is the perfect “escape” from the hustle and bustle of my everyday life. It’s not an easy course and you have to think on most of your drives and approach shots. My favorite hole is Ranch Hole #4. A reachable Par-5, even for shorter hitters, but you have to be very accurate with your tee shot! There is a huge elevation drop and big trouble left and right. 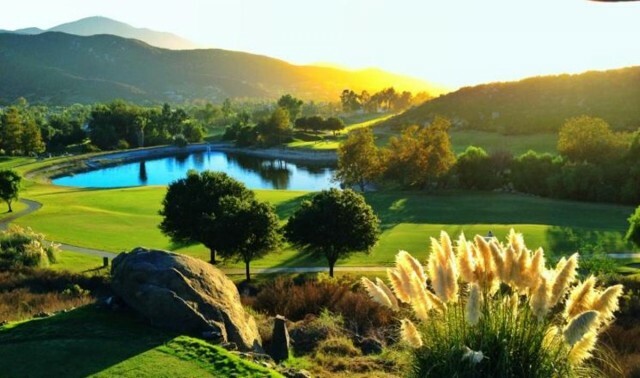 Sycuan Golf Resort is always in great shape and the staff is very friendly and knowledgeable. Their Pine Glen 18 hole course is one of the best par three courses in the state! Perfect for golfers of all skill levels and abilities. 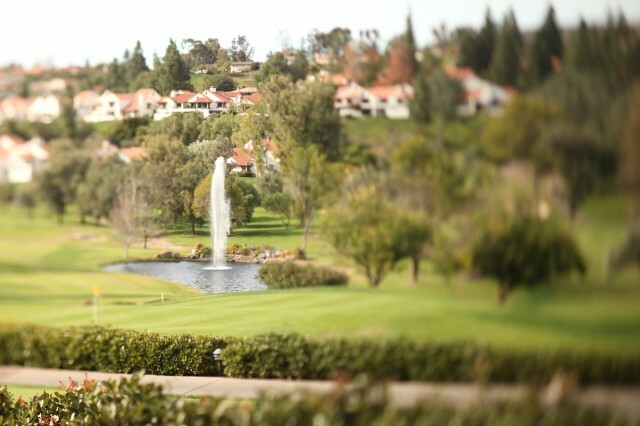 At Rancho Bernardo Inn, visitors can enjoy a round of golf on a traditional style golf course that winds its way through the valley with tree lined fairways and several bunkers and water features to navigate. 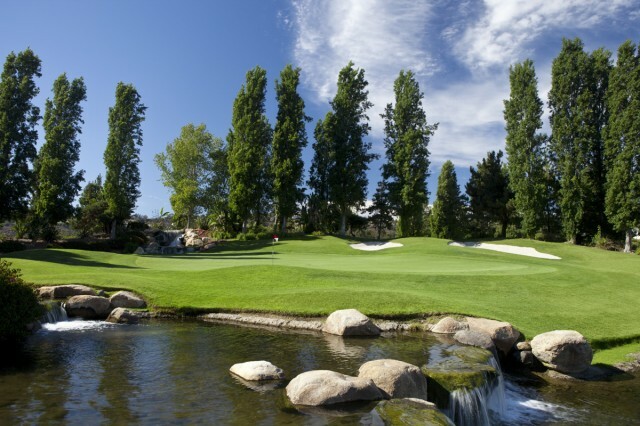 The finish on number 18 is memorable as you play an uphill par 5 with a picturesque water feature to an elevated green. After the round enjoy the scenic view of the course in the valley from the outdoor patio dining area. It’s a great way to finish the day. Riverwalk does a remarkable job at connecting with its guests. Their presence on the web, on social sites and their commitment to programming great golf, catering and social experiences put it on a short list of favorite courses for locals and travelers alike! The course is always in good shape and offers up a great test of golf to all skill levels. And adding to the experience is its commitment to player development and growing the game. 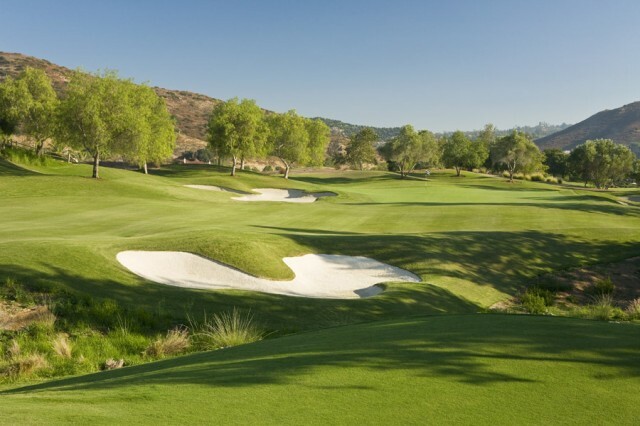 Where’s your favorite place to golf in San Diego? Presented by Macy’s, San Diego Museum Month participants enjoy half-off entry fees at 44 San Diego Museum Council membership museums. The savings encourages everyone to explore a variety of arts, culture and science-oriented destinations. From Oceanside Museum of Art down to the Tijuana Estuary, there are ample opportunities for edutainment, creating memories and fun for the whole family. 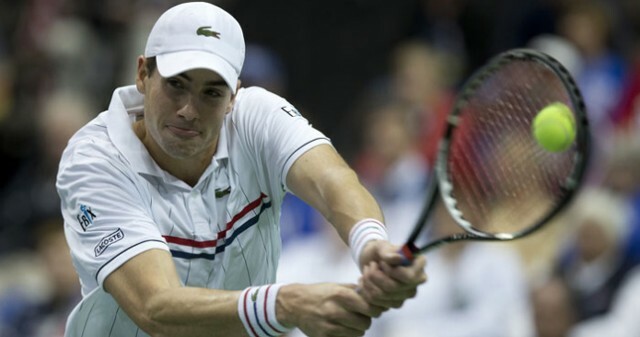 USA will play host to Great Britain at Petco Park in a rematch of the first-ever Davis Cup tie, which took place at the Longwood Cricket Club in Boston back in 1900. Times have changed since then, however, and British No. 1 Andy Murray, who won all three points for Team GB in its World Group play-off against Croatia last September, will be favorite to win both his singles rubbers. The San Diego Black Film Festival shines the spotlight on African-American and African diaspora films. Several films from last year have gone on to win additional awards at other film festivals. Immerse yourself in the Vietnamese culture with food, music, dance and plenty of fun! 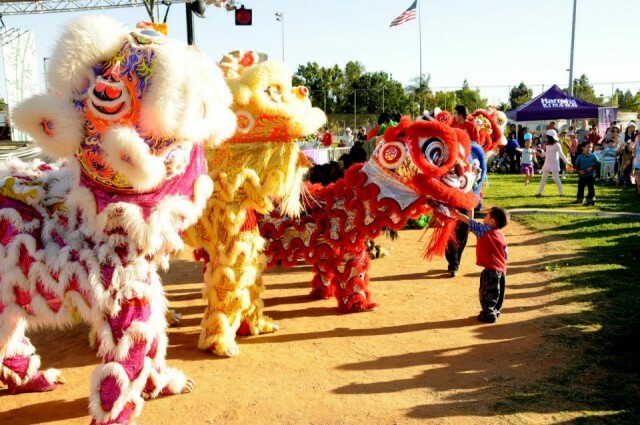 The San Diego Tết Festival promises fun for whole the family with such activities as carnival rides and games, authentic Vietnamese food, lion dancing and firecrackers. And entertainment programs, such as the Miss Vietnam of San Diego and a Cultural Village to immerse yourself in Vietnamese culture. San Diego Restaurant Week has been extended! Sample your way through 150 restaurants offering prix-fixe lunches and dinners during week 2. The Chargers are going to the Super Bowl…is what I wish I was saying. Though my Bolts are not going this year and will certainly play in the Big Game next year (fingers crossed), there is still plenty of Sunday fun to be had here, especially for the Seattle and Denver fans “stuck” in San Diego for the big game. Congratulations, not only are your Seahawks going to the Super Bowl, but you get to watch them from sunny San Diego! To make sure you are high-fiving only those wearing navy blue and action green, fly on over to Thruster Lounge in Pacific Beach. As of this posting, Thrusters Lounge has not posted any game day specials. However, I will update if they do post any. 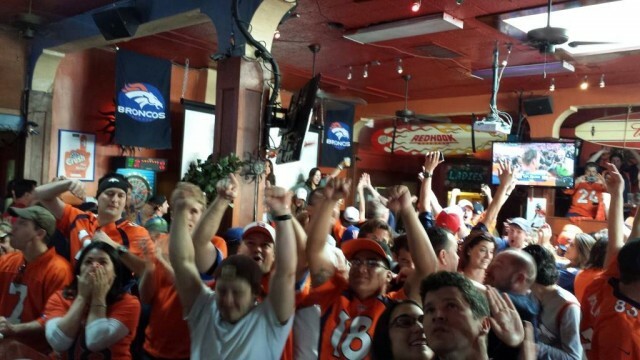 I can’t believe it – there’s a Broncos bar in San Diego! I kid, I kid. Those looking to don their blue and orange while cheering on Manning can find a friendly crowd at this .01 mile-high arena of strong drinks and hearty bites. On Super Bowl Sunday, Guava Beach will get the crowd pumped up with pre-game festivities, halftime specials including $4 you-call-its and a free raffle, along with even more drink and food specials all day. While it may not be the Chargers, who are you rooting for in Sunday’s Big Game?